When I saw a photo of the enchanting blue-green pools of Semuc Champey, I just had to go and see it for myself. It took almost a year but after seeing it, I have to say that the photo did not do it justice at all. The view was simply stunning however the ride to get there is nothing near pleasant! I am partly to blame for the slip-up. We could have easily taken a tourist van from Coban to Lanquin followed by a taxi to Semuc Champey. But, NO! I just couldn’t miss out on the novel experience of riding a non-A/C chicken bus chock-full of passengers and live animals. We had to wake up a little after 4am to catch the 5am bus to Lanquin only to wait for almost two hours for the bus to arrive. After more than 2 hours in a jam-packed bus on a dusty rough road, we finally arrived at Lanquin. 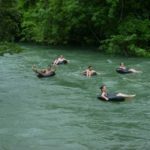 We were approached by several people offering their services to bring us to Semuc Champey and pick us up again at our desired time. If you plan to take the same trip, make sure not to pay the full amount of the return trip to ensure that at the end of the day your driver will return to pick you up. We also hired two guides to help us navigate around the area. 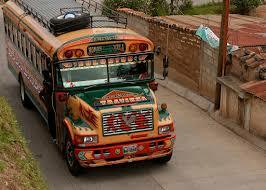 Once in Semuc Champey, the chicken bus ride was forgotten. The layers of natural pools that greeted us was spectacular and we couldn’t help but get excited. The guides took us to the Cahabon River where the adventurous ones in the group, perhaps inspired by Tarzan, took the rope swings (already fixed to the trees) and somersaulted their way to the currents of the river. 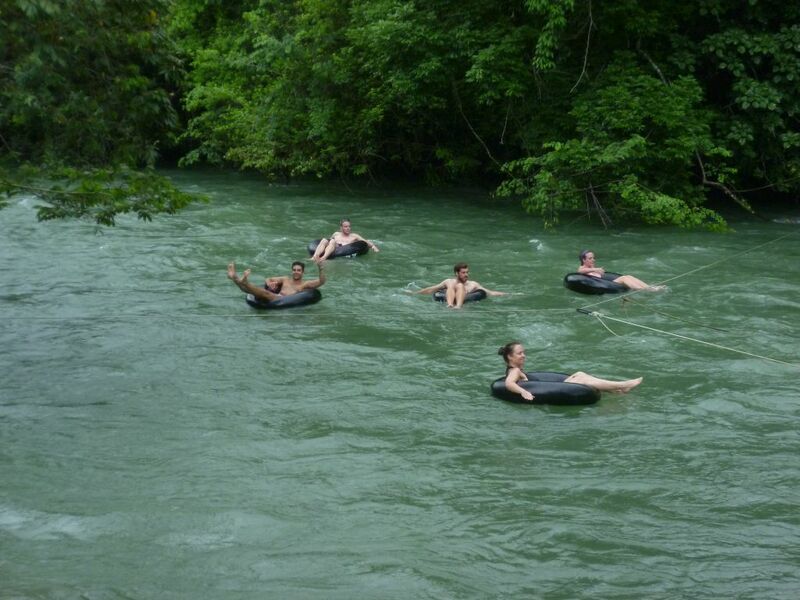 Another major attraction in Cahabon River is river tubing. It was exhilarating and the vertigo-inducing twist and turns were crazy. If this is not enough of adrenalin rush for you, ask your guide to point you to the right spot for you to try out bridge-jumping. We then ventured to the 300m limestone bridge and on to the relaxing turquoise waters of the pools. It was a welcome respite from the excitement of the Cahabon River. Imagine soaking in a quiet pool in the middle of the jungle. Hard to believe this beauty is all real! 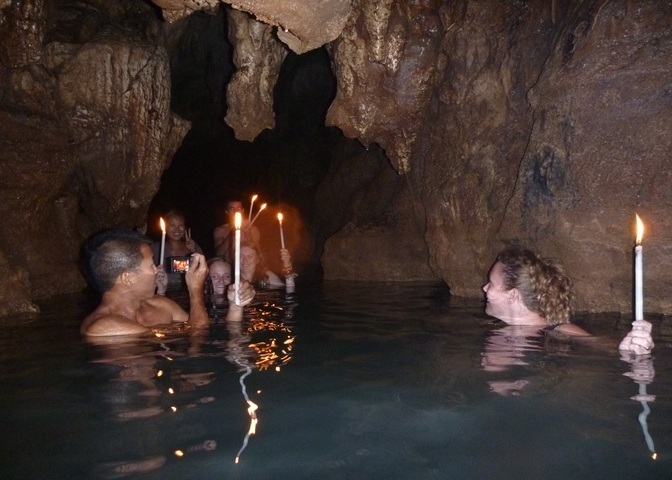 For more heart-pumping adventure, you can ask your guide to bring you to one of the many caves in the area. 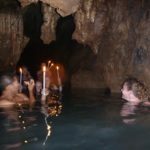 It’s going to be an interesting spelunking adventure inside a river-filled cave (well – almost half full at most to be exact). Some of the caves are pitch dark and you only have a candle to guide your way. Be prepared to keep your candles lighted as you steer through the moving waters. Once back in Lanquin, you might want to visit the El Cabro Waterfall in the village of Chitzubil. The trek to the waterfall takes 5 hours so you want to be physically ready for it. 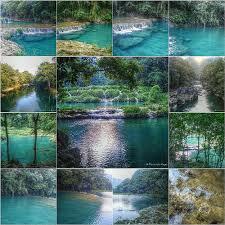 Your efforts will be rewarded with a spectacular view of the several layers of waterfalls and their pristine pools. After a long day at the Semuc Champey, I recommend spending the night at Lanquin – like we did. The selection of accommodations in the area is limited, offering the most basic of rooms. You might want to avoid the bus on your way back to Coban because they tend to be even more crowded. One chicken bus ride was enough, so we hired a taxi on our return trip. For a Travel Reference Map of Guatemala, go Here.